There are a ton of reviews on Antaeus on the web, but too many of them start off with, "This is a review of vintage Antaeus...". What about the Antaeus that's available in department stores right now? Most people who have never smelled this fragrance are not going to search high and low for old bottles of Antaeus - these people want to know what's readily available now, and what it smells like, period. I'm here to review what Antaeus smells like in its current form, and luckily it's good news. Most people merely describe this as a woody fragrance, and it's rare to find a review that actually categorizes this scent. 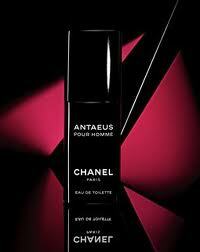 It's obvious to me that Antaeus is a heavy masculine chypre, no more and no less. It smells dirty, animalic, mossy and sort of sweet. There are some woody and herbal notes in Antaeus to give it a masculine aromatic edge, but what dominates by far is the base blend of labdanum (providing the semi-sweetness), castoreum (providing a urine-like, animalic punch) and oakmoss. It's what I consider to be Antaeus' signature smell, and any other ingredients it contains, like beeswax, florals, sage and patchouli, are there merely to embellish it. It's a powerful, heavy and long lasting smell, and I just love it. 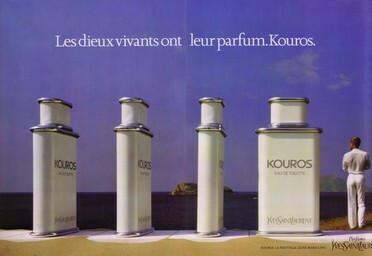 A lot of people call Antaeus an Eighties powerhouse fragrance. Although it's ultra-masculine and very strong, with nuclear sillage and amazing longevity, I'm on the fence with that label for Antaeus. I think it's too old school in style to qualify, believe it or not. When I wear Antaeus, I never associate it with the other power frags from the Eighties at all. For me, Antaeus smells very classic, old school French in style, and that's mainly due to the heavy labdanum, castoreum and oakmoss it contains. 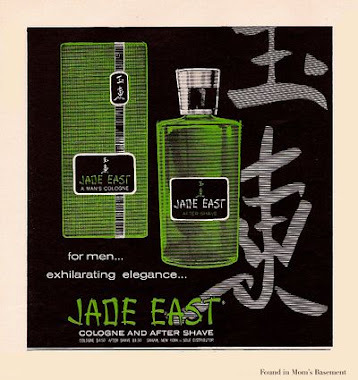 It has a lot more in common with classic perfumes like Ho Hang, Moustache, and Miss Balmain than it does with stuff like Oscar de la Renta Pour Lui or Drakkar Noir. Vintage fans have called the current version of Antaeus a disgrace and a "shadow of its former self". I say nonsense. I have a decant of vintage Antaeus, and though it's a little bit different and slightly better, it's not a deal breaker at all. Antaeus used to be slightly warmer and better balanced than it is now. Antaeus now has somewhat harsher top notes, and there's a slightly more heady floral angle to the middle stage, but it's still unmistakably Antaeus. It still has monstrous sillage and lasts more than 12 hours on my skin. New Antaeus suits me just fine. 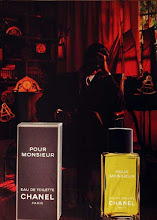 Antaeus remains an outstanding fragrance, with its inimitable old school style. Gled to hear I'm not the only fan of new Antaeus. I'm one of those "this review is for vintage..." people. I'm not a millionaire so I'm not going to buy the new versions if I already have the originals. In almost all cases, I would never wear the new versions that I've tried even if it was free. I just write reviews in an honest and straightforward way and people can decide for themselves what the value of those reviews are to them. I often update them because I find nuances in subsequent wearings (which is a major reason why I rarely post reviews on BN these days). I did own vintage Antaeus and liked it, but thought it was a bit simple and with too much castoreum, so I sold my bottle a while back. It was definitely rich and up there with niche quality. I've heard the new version has a lot of patchouli, which I only like as a background or blended note, so I haven't pursued trying to sample that one. I'm at the point where I can barely get to wear fragrances I really like because I have so many of them, which is actually a bit of a relief at this point, because I'm having trouble just keeping track of where I have stored the bottles ! I have the same problem. I bought a bottle of Passion For Men a few months ago, and I can't remember where the hell I stored it. I wanted to review that one too. I've heard other people mention the patchouli in new Antaeus too, but I don't smell a lot. It's a very aromatic scent, aided by patchouli, but I get a much more floral smell than patchouli smell in the new stuff. 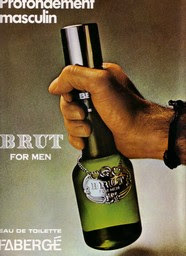 Even I will admit that the vintage juice is a little better, but the new stuff is still great. It's such a good scent, I just wish it captured my imagination more. For me it's a brilliant composition that seems very . . . polite. Maybe I need to re-examine my standards or something. But great review, it makes me want to try Antaeus again. Definitely try wearing it again. I don't consider it a powerhouse really, because it isn't really brash like real power frags, but I don't know if I'd call it polite. 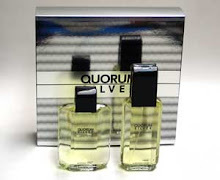 It's a really multifaceted scent, so it's definitely worth another try. Love Antaeus - I have the current EDT and also the shower gel(!) which is amazing - REALLY strong fragrance for a bath product! I've smelled the old Antaeus and it smelled a little fuller and dirtier but the current is so good I'll not be wasting time or money tracking down a so-called vintage bottle. I think it's a cross between powerhouse/old-school. It's plenty strong but has a certain powderiness and elegance which remains just a little rough around the edges. A well dressed gent with 3 day stubble...! I am wearing this today and always forget how great it is--masculine as hell, elegant as can be. Mine is vintage, just because that is what I've got.